Blake Riley, that is definitely a name you won’t forget in a hurry. I have to admit, having gone back into my memories of Us I was a trifle bit worried about having a whole book dedicated to this man. Blake was overpowering with a capital O and his personality was definitely an acquired taste and yet as I began this book I just found myself laughing, like side ripping belly laughs. Yes, he is as immature as they come when it comes to his sense of humour, cheezus, but the man underneath that outgoing, piss you off personality, had the hugest of hearts. That ego, that pre-pubescent sense of humour was all a front, to protect the one thing that had been broken once…his heart. Jess is Jamie’s sister and she also made an appearance in Us. Jess has yet to find her calling in life and as she flits from one career to another her capricious personality becomes a lead weight around her neck. All she wants to do is make her parents proud and as she comes to the end of yet another career she is not so patiently waiting for the fallout. Jess wanted to be perfect and she spent her whole life trying to be perfect, trying to live up to everyone else’s perceived expectations yet never actually taking time to live up to her own. Jess was a pleaser and it wasn’t getting her anywhere. 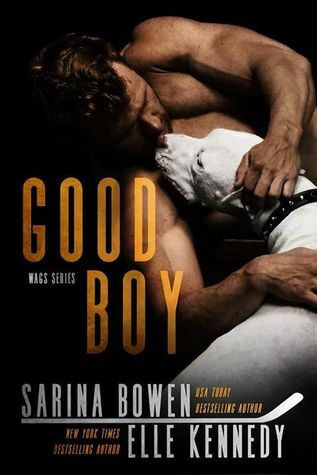 Normally, this kind of character royally pisses me off and yet somehow, Sarina Bowen and Elle Kennedy made Blake work. They managed to turn Blake’s immaturity and gutter level sense of humour into an endearing quality and that is no mean feat. Blake is the kind of BFF you want in your corner, he will do anything for anyone, is extremely loyal and protective of those he loves/loved and when he loves, he loves hard, he is all-in. 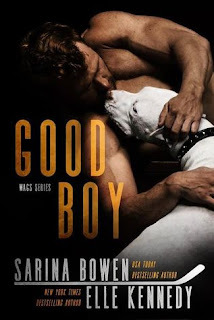 There is a lot to him that he keeps quiet and hidden and when Sarina Bowen and Elle Kennedy peel back his layers to the reader, what is hiding underneath is what book boyfriends are made of. Blake and Jess have had this underlying sizzling chemistry for years. One night they acted upon it, which Jess still has chalked up as her biggest mistake, but neither one of these two can forget the other. Whenever they are in each other’s presence the air crackles, their hate/love relationship is only fooling themselves and when Jess’s new career path puts her in the path of Blake on a daily basis you know that this is a hopeless cause. It seems that karma wants these two together, will either of them be strong enough to resist or will hormones always win? This was a laugh out loud funny, snort inducing, side splitting belly laughter kind of read. Even though I am in my forties my sense of humour is still a teenagers, I laugh at the most stupid of things at the most inopportune times and Sarina Bowen and Elle Kennedy certainly had a direct line to my crass, toilet humour. I had cross your legs moments, any woman over forty who has had kids will sympathise, I had tears of laughter but most of all, this was a feel-good book. Low on angst, huge on laughs and was a perfect read after my slew of heavies. This book picked me up, had me smiling from ear to ear and even now, I find myself chuckling as little things seen or said remind me of Blake. Totally loved it.